There is district volleyball on this Tuesday (October 9) game day. 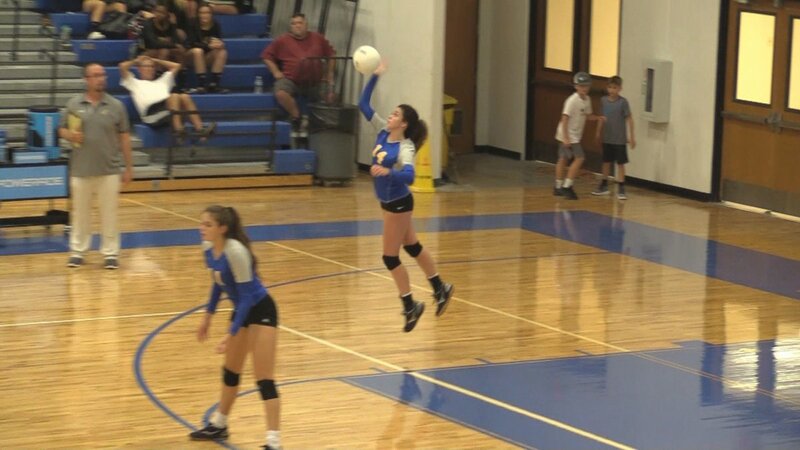 The Lady Cats’ volleyball team begins the start of the second half of district play intent on turning their district season around and on getting into the playoff picture. The Lady Cats, 1-4 in district play and in fifth place, will play host Tuesday to the Royse City Lady Bulldogs, 3-2 in district play and in third place. The Lady Bulldogs downed the Lady Cats 3-1 in Royse City to open district play on September 21. Three of the four matches ended up 25-23. The Lady Cats are 25-11 for the season and Royse City is 16-16. Lady Cats Volleyball Coach Justin Maness says he feels this match will be a lot better one for the Lady Cats with Royse City coming here. He says the Lady Cats really know what’s at stake and really want to go out and beat Royse City. Coach Maness says hopefully the Lady Cats’ intensity and energy are up and they are ready to do just that. We will bring you Lady Cats’ volleyball live on KSST Radio beginning at 6:30 p.m. We will also videotape the game for replay later on Channel 18 on Suddenlink Cable.